In case you haven’t heard yet, there’s a new literary magazine in the U.P. It’s called U.P. Reader and it’s been published by Modern History Press with the cooperation of the Upper Peninsula Publishers and Authors Association. In fact, partial proceeds of the sales are returned to UPPAA to help with funding its programming and other author-reader-centered activities. In addition, for every twenty copies sold, one copy will be donated to a UP Library. Already twelve copies have been donated. The UP Reader contains 28 works of prose and poetry, all by U.P. authors. Mikel Classen, Larry Buege, Deborah Frontiera, James M. Jackson, Janeen Pergrin Rastall, Sharon M. Kennedy, Jan Kellis, Amy Klco, Becky Ross Michael, Elizabeth Fust, Terry Sanders, Tyler Tichelaar, Lee Arten, Roslyn Elena McGrath, Ann Dallman, Christine Saari, Aimée Bisonette, Frank Farwell, Ar Schneller, Rebecca Tavernini, Edzordzi Agbozo, Sarah Maurer, and Sharon Marie Brunner. You can purchase U.P. Reader at Amazon or in the U.P. at several different stores throughout the U.P. including in Sault Sainte Marie, Marquette, and Copper Harbor. A list of several of the local retailers selling the book can be found at its website: www.upreader.org. You can also learn more about the U.P. Publishers and Authors Association at www.uppaa.org. MARQUETTE, MI (June 11, 2016)—On Friday, June 17, from 11 a.m. to 4 p.m., the Peter White Public Library, in association with the U.P. Publishers and Authors Association, will host a U.P. Book Market—the event will be like a farmer’s market, but devoted to the display and selling of books by local authors. The list of authors attending will encompasses the entire U.P. literary scene and beyond. They are: Aimée Bisonette, author of North Woods Girl (Minneapolis, Minnesota), Corey LaBissoniere, author of Land of Enchantas (Houghton), Sharon Brunner, author of Shadow Travelers (Sault Sainte Marie), Larry Buege, author of the Chogan Native American Series (Harvey), Mikel Classen, author of Teddy Roosevelt and the Marquette Libel Trial (Sault Sainte Marie), Deborah Frontiera, author of Living on Sisu (Lake Linden), Jan Kellis, author of Bookworms Anonymous Cookbooklet (DeTour Village), R.E. Kelly, author of The World According to Luke series (Escanaba), Sharon Kennedy, author of Life in a Tin Can (Brimley); Jesse Koenig, author of Brief Perversions (Baraga), L.E. Kimball, author of Seasonal Roads (Newberry), Tim LaJoice, author of Little Whittle: Tale of a White Beaver (St. Ignace), Tamara Lauder, author of Breaking Free Too: Taking a Flight With a Butterfly Toward Self-Discovery (St. Germain, WI), Sonny Longtine, author of Magnficent Mansions and Courtly Cottages (Marquette), Martyn Martello, author of Serial Killer Confessions: Just Friends (Marquette), Paulette Noble, author of the A Virtual Reality series (Escanaba), Rondi Olson, author of All Things Now Living (Munising), Gretchen Preston, author of the Valley Cats series (Chocolay Township), Janeen Pergin Rastall, author of Objects May Appear Closer (Gordon), Richard Smith, author of hunting and wildlife books (Marquette), Tyler Tichelaar, author of The Marquette Trilogy (Marquette), and Lloyd Wescoat, owner of Mudminnow Press (Copper Harbor). 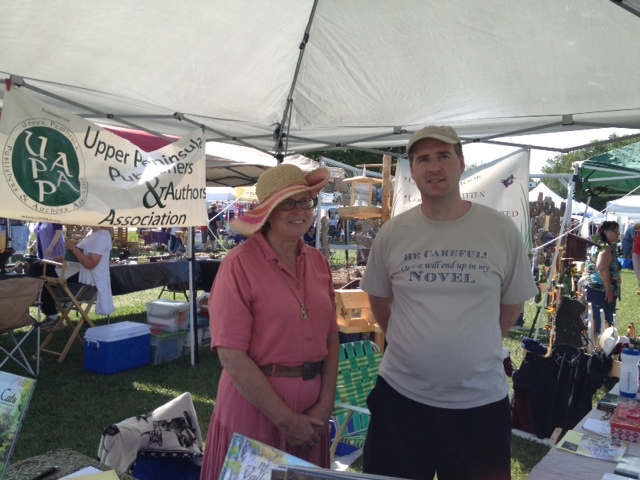 Local authors Tyler Tichelaar and Gretchen Preston will be among the many authors at the UP Book Market on June 17th. The festive event will include additional attractions. Before you can relax with a good book, you may need help relaxing, so Nancy Ring, a massage therapist, will be on site to provide massages. Superior Mobile Koney will be providing culinary delights to book market visitors. Live music will be performed throughout the day, and face-painting will be available for all the young at heart. The musical schedule is: 12:00-1:00pm – Corinne Rockow (musician and storyteller), 1:30-2:30pm – Kerry Yost and Dylan Trost (experimental instrumentals and eccentric, folksy songwriting), and 3:00-4:00pm – Tanya Stanaway (Finnish music). On Saturday, December 20, from 1-4 p.m., four local authors will be signing books and greeting the public at Book World in Downtown Marquette. All four authors live in the Marquette-Harvey area, but write about a wide variety of topics. If you’ve seen the guy in the amorous spotted slug costume promoting the cause for state slug in Downtown Marquette, then you’ve seen Larry Buege. Now you have the opportunity to talk to him about his campaign and get personalized copies of his book Cold Turkey, a futuristic U.P. novel about U.P. statehood and a strange prophecy initiated by the said slug. In addition, Larry will be signing copies of his popular young adult Native American fiction series beginning with Chogan and the Gray Wolf and his many other novels. Check out his website www.LarryBuege.com. Sonny Longtine, a retired teacher, has spent his retirement researching and writing about the history of the U.P. His first book, Marquette, Then & Now, appeared in time for Marquette’s Sesquicentennial in 1999. He followed it with Michigan’s Upper Peninsula: Life Legends and Landmarks and Courage Burning. Since then, he has found himself wading in blood—figuratively. His latest book, Murder in Michigan’s Upper Peninsula, tells the true stories of several U.P. murders, spanning from the 1800s to the present century. With the holidays upon us, local authors are actively attending craft shows, holding book signings, and helping to get us all in the holiday spirit. Upper Michigan is home to nearly one hundred local authors as well as being the subject or setting of many other books. Thanks to efforts by libraries, bookstores, and organizations like the U.P. Publishers and Authors Association, more and more people are reading local books and supporting the creation of a U.P. literature. This year many events are being held in Marquette County where authors will be in attendance to sign or talk about their books. For other author events in Upper Michigan, check with your local library and bookstores. 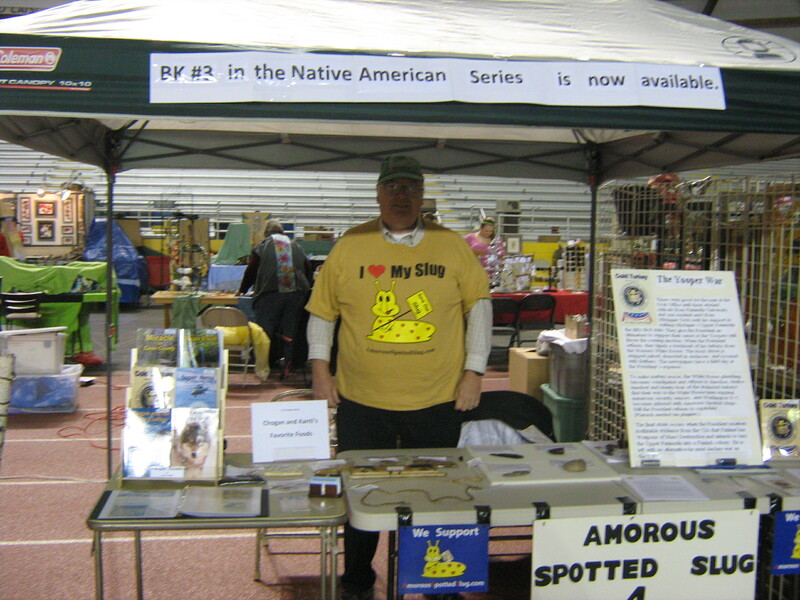 Visit Larry Buege at the TV6 Christmas Craft Show and find out more about his campaign for the Amorous Spotted Slug for state slug. The Holiday Outback Art and Craft Show (the winter version of the popular summer Outback at Picnic Rocks) will be held this year at the Marquette Armory at 1820 Lincoln Ave. on Friday, November 28 from 5-9 p.m. and Saturday, November 29 from 10-6 p.m. Sonny Longtine, author of several U.P. books, will be there selling his newest book Murder in Michigan’s Upper Peninsula, which explores true crimes that turned quiet U.P. communities into fear-ridden crime scenes. The TV6 Christmas Craft Show is probably the biggest holiday shopping event in Upper Michigan. This year many authors will be among those in attendance, including Diana Oman, author of the new ABC book for the kid in all of us, My Heart Smiles, which is also illustrated by Colleen O’Hara who will be there with her own book, The Butterfly Woman; Charlie Smith, author of the new novel, 1914, about World War I; Gretchen Preston, author of the Valley Cats children’s book series; Larry Buege, author of Cold Turkey, a series of Native American novels beginning with Chogan and the Gray Wolf, and many other titles; and Tyler R. Tichelaar, author of My Marquette, several U.P. novels, and a historical fantasy series about King Arthur. The TV6 Christmas Craft Show will be held this year on Friday, December 5 from 5-9 p.m., Saturday, December 6 from 10 a.m.-6 p.m. and Sunday, December 7, from 11 a.m.-4 p.m. in the Superior Dome in Marquette. On December 6 at 2:o0pm, Loraine Koski will be giving a presentation at Bethany Lutheran Church in South Republic about PFC Elden Gjers, Republic athletic standout and World War II casualty, and my more than 10 years of research that led to publication her book Eden’s True Army Tales. 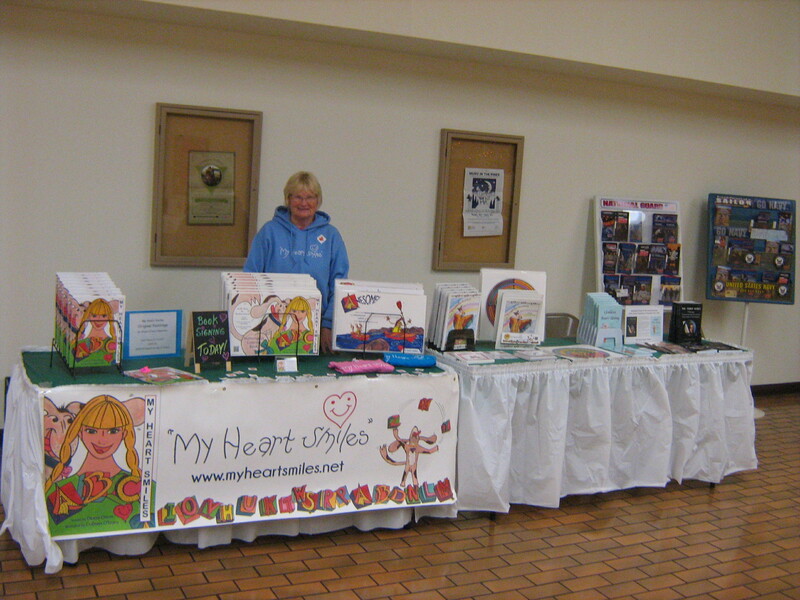 Diana Oman will be signing copies of My Heart Smiles at Younkers throughout the holiday season. 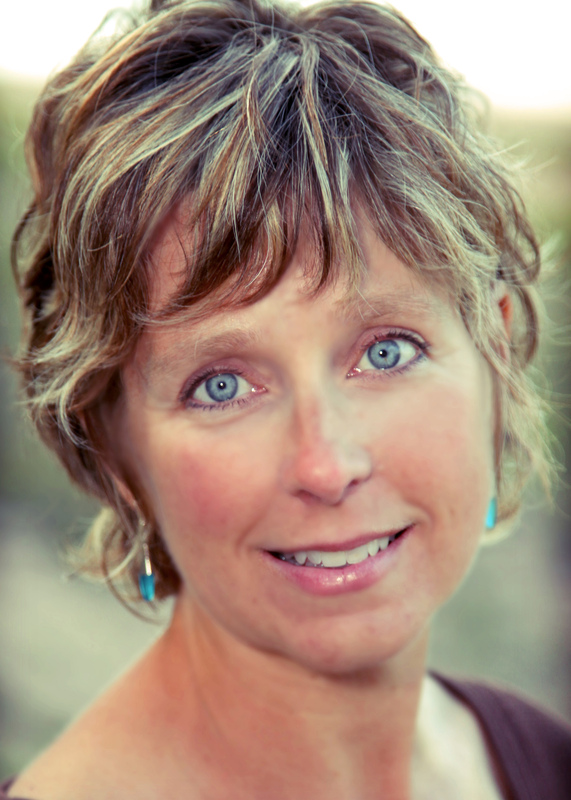 Children’s author Carrie Pearson will be at Snowbound Books on December 13th. Winter Tail and A Cool Summer Tail, and Charlie Smith, author of the World War I novel, 1914. Diana Oman and Colleen O’Hara will also be signing copies of My Heart Smiles at Younkers in the Westwood Mall on December 10 from 11 a.m.-2p.m, December 13, from 11 a.m. to 3 p.m., December 20 from 11 a.m. to 3p.m. and December 21 from 1-4 p.m. In addition, many members of the U.P. Publishers and Authors Association are supporting The Gift of Reading Project, organized by the Marquette-Alger Reading Council. The public is asked to donate new books to be given to needy families and adults at Christmas time and throughout the year. New books are also distributed to youth service agencies, public health and dental centers, nursing homes, including the Veteran’s Center, the Women’s Center and Harbor House, Beacon House and other locations. Drop off locations include Peter White Public Library and Snowbound Books. The last day for donations is December 5. Contributions also can be sent to MARC at P.O. Box 1084, Marquette. For more information, call 226-7030. This year, give the Gift of Reading to your loved ones and those in need by supporting local authors and making sure everyone has a book under the Christmas Tree. For more information about the U.P. 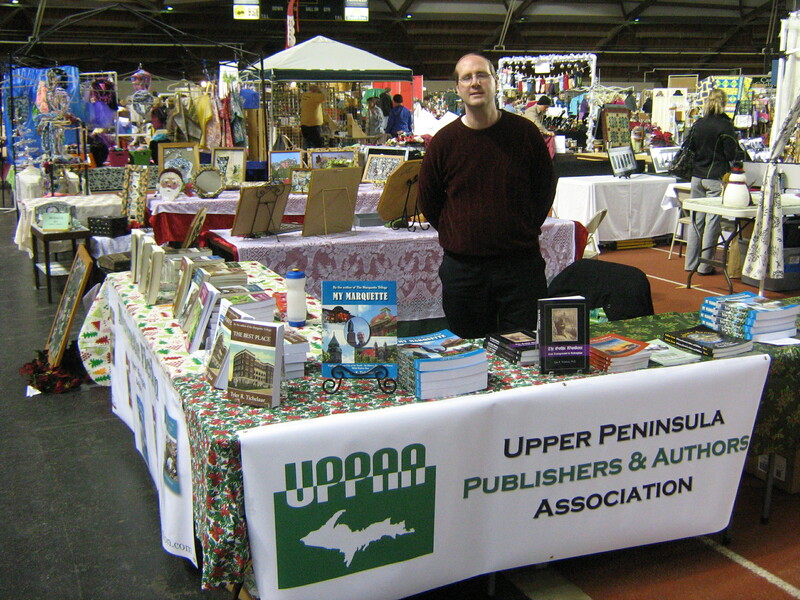 Publishers and Authors Association and local author events, visit www.uppaa.org. Upper Michigan authors from all ends of the peninsula will gather on October 4, 2014 for the second annual U.P. Authors Day Book Fair at the Westwood Mall. All authors who live in or write about the U.P. are welcome to attend. 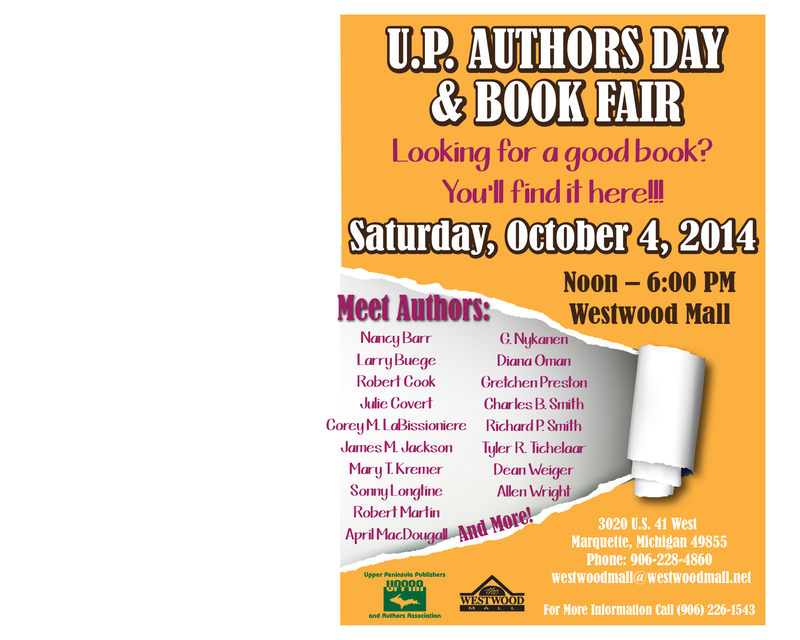 Marquette, MI, August 25, 2014—Upper Michigan authors will gather to meet their current and future readers at the first annual U.P. 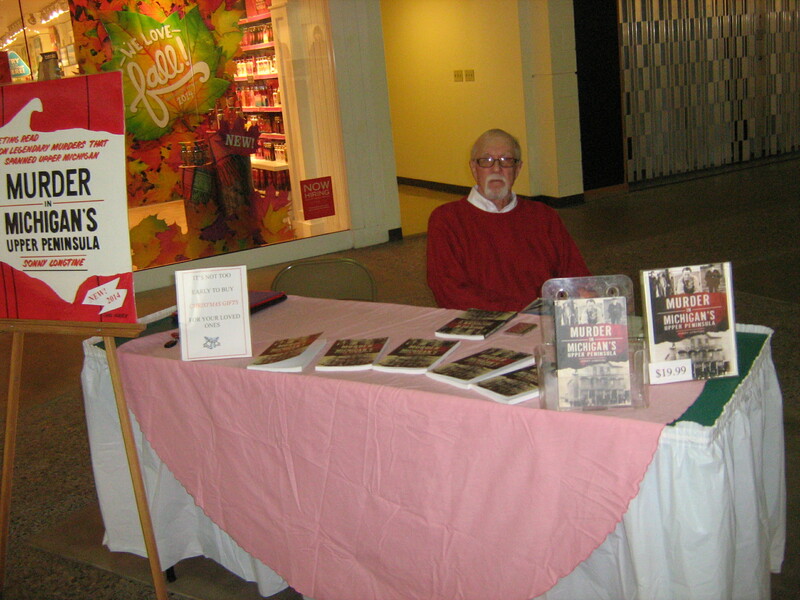 Authors Day event and book fair at the Westwood Mall in Marquette on October 4, 2014. U.P. Authors Day is an event intended to raise awareness of the rich tradition of writing about Upper Michigan and introduce readers to local authors. The event is the brainchild of Lon Emerick, award-winning author of such favorites as “The Superior Peninsula” and “Paradise, North.” The event is being organized by members of the Upper Peninsula Publishers and Authors Association (UPPAA) in coordination with the Westwood Mall. Over fifteen authors will be scheduled to attend the event. Book sale hours will be from 12 noon to 6 p.m. on Saturday, October 4th. I am so very pleased and a bit overwhelmed by the positive responses My Marquette has been receiving, most recently through fabulous sales at the TV 6 Christmas Show and my appearance on the Doug Garrison show which you can view on YouTube. So it seems appropriate that I again thank the many people who helped to make the book possible. Following is the Acknowledgments from My Marquette, but with links to websites included. Writing a book like this one is far from a solitary experience and more difficult in its own way than a novel that does not require all the additional layout, photographs,and even research. I have many people to thank for their words of encouragement and support who said, “I’d like to read that book” when I discussed my ideas with them. They are too numerous to thank individually, but I appreciate all their ideas. The many past writers and historians of Marquette, most notably, Fred Rydholm, whose Superior Heartland kept me up late at night reading with fascination as I researched my novels, and Sonny Longtine, not only the co-author of the marvelous Marquette Then & Now but also my neighbor who generously shared his photographs, many of which are included in this book and on the cover, as well as his suggestions with me. Jack Deo of Superior View also provided me with numerous photographs of Marquette, past and present, as well as the cover photos for most of my previous novels. 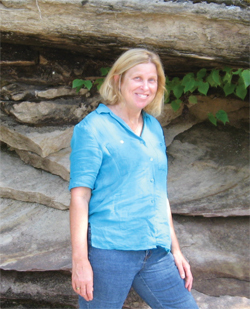 Debbie Glade, author of The Travel Adventures of Lilly P. Badilly, for reading drafts of different sections of this book and offering encouraging words. My second cousin, Nanette Rushton, who provided her memories of life on RidgeS treet and of the Rankin family and read early drafts of the residential section. Lynn and Lon Emerick, fellow writers who have become like family over the years. I so appreciate their sharing their memories of Dorothy Maywood Bird with me, and all their advice over the years on publishing books. Fred Stonehouse, the expert on all things maritime, who helped me sort out the Frink family’s roles as lighthouse keepers along Lake Superior. Holly Barra and Jim Mansfield, descendants of Marquette architect Hampson Gregory, for sharing information about their ancestor. Emily Bettinis, for sharing information about the Reverend Bates Burt family. Many thanks to everyone over the years who has made me more aware of my family’s history, including my late cousins, Jerry McCombie, Jean Martel, and Robert Bishop. Thank you to my great-aunt, Sadie White Johnson Merchant, who was always willing to share family stories, and saved the day by having a photo of the Bavarian Inn when no others could be found. A special thanks to my late grandfather, Lester White, whose stories of his childhood first made me interested in Marquette’s past. Thank you to my cousin, Lynn Hiti, who has sent me numerous files and documents and shared genealogy discoveries with me for many, many years, especially about the Bishop family, and to my cousins, Shirley Herbert and her son Paul who provided me with our Civil War ancestors’ military records. Thank you to cousins Ben and Pat Hassenger for their information on our Zryd ancestors. Also to my distant cousin Kori Carothers, who sent me information about her ancestor Francis Marion Bishop. And thank you, especially, to my mother who allowed me to raid the family photograph albums for memorable moments captured on film. I have been in touch with so many relatives over the years who have given me information that if I forget any of their names here, know that your contributions have been greatly appreciated.Finally, thank you to all of my readers who have been integral to my fulfilling my dream since childhood to write books people would love to read and which would help make their lives happier. Anne Outhwaite Maurer and James Pickands Cass for their information about their Outhwaite and Pickands ancestors. John Frederickson, great-grandson of Carroll Watson Rankin, for his memories of the family. Pat Ryan O’Day, publisher of Marquette Monthly, for her many stories of Marquette’s past and for putting me in touch with people who would have information I needed. Babette Welch and her husband Gregg Seiple, who own the Swineford Home at 424 Cedar Street, for allowing me to see the inside of that Marquette landmark. Dennis McCowen, owner of the Merritt Home, for giving me a tour inside, including allowing me to go up in its tower on a blizzardy spring day. Lorana Jinkerson for sharing information on her underground home. Rachel Goldsmith for information and a photo of her father, David Goldsmith. Ann Gonyea for the cover photography and getting the right angle for a picture. Joyce L. Mayer, director of the Moss Mansion in Montana, for sharing the history of that Lake Superior Sandstone home. John and Nancy Grossman at Back Channel Press have managed the printing and layout of all my previous books, and they were more than understanding and willing to answer my many questions as I embarked on writing a new kind of book. Victor Volkman (owner of Loving Healing Press) did a superb job in designing the cover for me and offering additional advice on layout to make the pages more easily readable. Rosemary Michelin, librarian of the John M. Longyear Research Library at the Marquette County History Museum, not only tirelessly pulled files for me but led me to some new directions I would not otherwise have considered. Thanks also to assistance from Meridith Ruppert and Jennifer Lammi at the Museum. Thank you to Jim Koski for information about South Marquette during an informative walking tour. 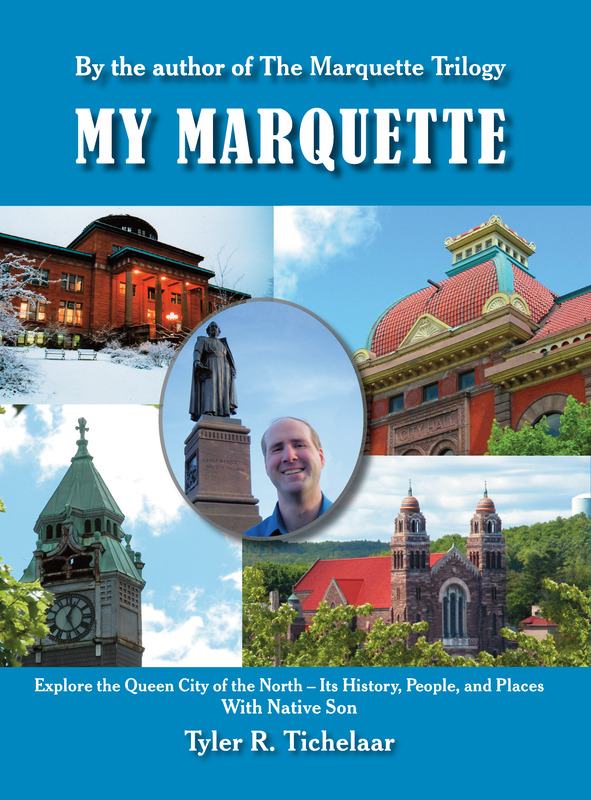 The Marquette County History Museum is also thanked for its permission to use many of the photographs in this book.In addition, thank you to everyone now who has purchased a copy of My Marquette and for all your compliments upon it. Thank you especially to TV6 News, Christopher Diem of The Mining Journal, and The Doug Garrison Show for the interviews and helping to spread the word about My Marquette. This book truly is about Our Marquette! I equally thank all the readers of my previous novels whose constant questions about the true stories behind my novels made me think such a book would be enjoyable.